I'm pleased to announce my first guest post ever, which you can find at Love That Max, my very favoritest special needs blog. 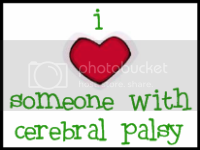 The post is called "Top 10 reasons my son's cerebral palsy is awesome." 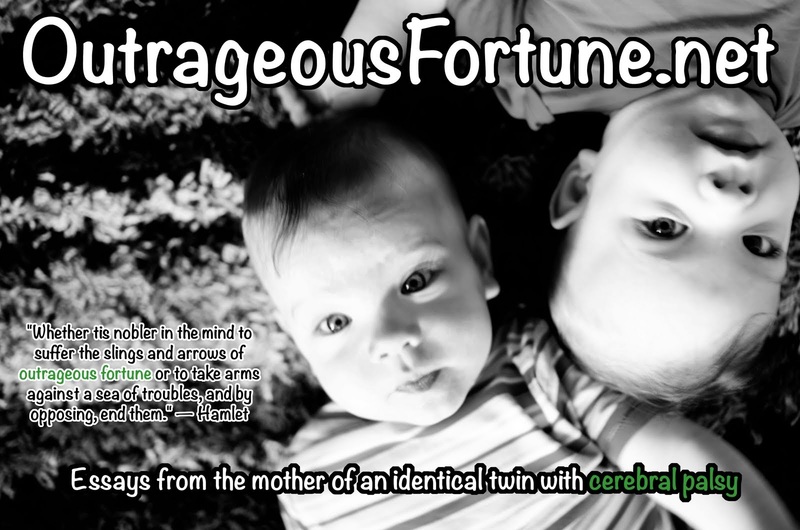 It is a silver lining post from all the dark clouds that sometimes hang around here at Outrageous Fortune and I hope you head over to LTM to read it and poke around her site. 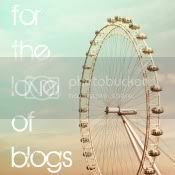 And, if you have clicked your way over here from LTM, welcome! Feel free to browse around and if you like what you see, be sure to follow, subscribe, "like," "friend," link up, bookmark, or whatever else you kids are doing these days. Finally, a big THANK YOU to Ellen, author of LTM, for putting me on her blog! 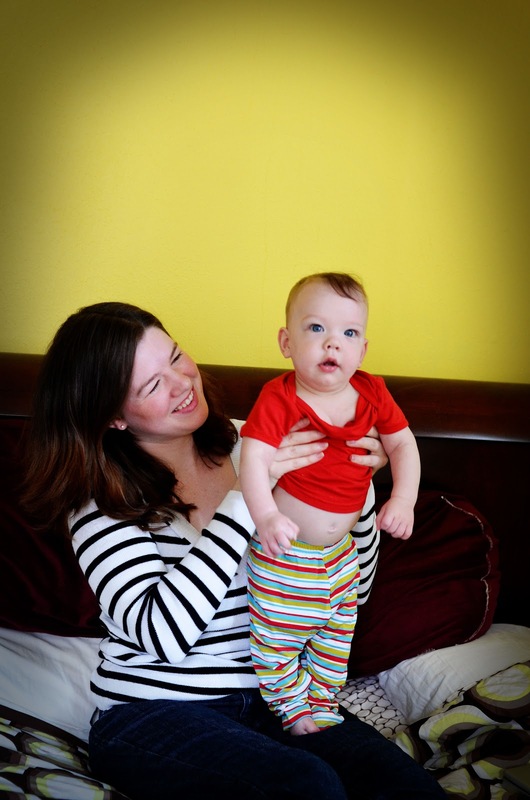 Great post, so nice to have you on the blog! Wonderful post, Shasta! In fact, it's definitely awesome. I saw it there! Way to go! I always like to see other twin mommies doing great things! Just found your blog. I've added it to my listing of CP blogs. Thanks everybody! It's been pretty exciting! I don't know, contrary to what you posted on my blog yesterday, it seems like you're more than on your way to thinking things are okay! That makes sense! Easier to talk about the negative things that float in the back of your mind when you're feeling okay and ready to face them, and you try to make yourself feel better with pep talks when it's an off week. as always, i so appreciate your honesty and perspective. thank you for that.